Every now and then, I get an itch to straighten up the bookshelf that hangs above the writing desk in my home office. With Easter approaching, I decided that this week–the holiest in Christianity–might be a good time to organize the section where I keep my Bibles. It turned out to be an eye-opening experience. Though I’m far from being a religious scholar, I’ve recently been drawn to studying the Bible for both spiritual and academic reasons. 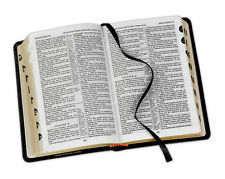 A couple of years ago, I read the entire Bible for the first time ever, using “The Daily Bible” published by Guideposts. Its 365 readings are presented in chronological order. Stories that appear more than once in the Bible are referenced but not repeated. You begin Genesis on January 1 and, if you stick with it, finish Revelation on December 31. Last year, as part of the “3:45 Project” in which my church participated, I read the entire New Testament. Which was a piece of cake after reading the entire Bible. I chose the New King James Version, my favorite translation, for that study. My Bible shelf also holds other translations. The Bible I received at the beginning of third grade Sunday School is the Revised Standard Version. The green faux leather Bible my mother kept beside her reading chair is “The Living Bible (Paraphrased).” There’s a copy of “The Life Application Study Bible, New International Version.” One of my favorites is “The Backpack Bible,” a slim volume that contains the New Testament plus Psalms and Proverbs. It’s the New International Readers Version, a non-intimidating translation that uses short sentences and simplified vocabulary. After dusting under all of them and returning them to their proper place, I lifted a fragile black leather Bible, its cover and pages curled with age, from the shelf. It’s a Red Letter, illustrated edition of the King James Bible, given—according to the inscription in the front–to my great-grandmother, Jennie Isabelle Wild Matthews, on Mother’s Day in 1964. We called her “Grandma” and she lived with us for several years when I was a child. There are check marks, in pencil, at the beginning of every chapter in Grandma’s Bible. I assume they’re a tally of how many times she made it through each chapter. The ponderous “begats” sections don’t appear to have held her interest. She clearly favored the New Testament over the Old, except for Revelation. Like countless other dyed-in-the-wool Methodists, she didn’t slosh through that cryptic book but once. My favorite find was the Family Register pages. In flawless cursive with now-faded blue ink, Grandma recorded information that I’m thrilled to have finally discovered. She was born in 1879 and married my great-granddaddy, William Matthews, in 1901. Over the course of the next 16 years, she gave birth to six girls and one boy. She buried two daughters when they were very young and a third, my maternal grandmother, when she was only 42. In 1971, the year Grandma passed away, the handwriting on the Deaths page changes to my mother’s. In her own flawless cursive, Mother recorded the subsequent deaths of Grandma’s four surviving children, all of whom I had known and loved. Who could have ever dreamed that straightening a bookshelf would yield such treasures?